Shaila Winchester Jaffe is a Marin county native, born in San Francisco and raised in Woodacre in West Marin. In 2000, Shaila received her RDH degree from the University of Maine at their vocational program in Dental Hygiene. Shaila began her career in dentistry, working for Dr. Stephen Jaffe in August 2000 and met his son David Jaffe in May 2001, with whom she fell in love, married and is raising her two beautiful sons Reuben and Trevor and their poodle Lucy. In January 2005, when Dr. Jaffe partnered with Dr. McDowell, Shaila moved 'downstairs' to continue her growth in hygiene, while also sharing the excitement of her first pregnancy with Cristy, Dr. McDowell’s wife, who was pregnant with her second at the same time. Now over 10 years later, Shaila has continued to build great rapport and provide excellent dental care to her patients. Shaila feels blessed to be able to raise her family in this beautiful county and live near family and friends. She is a hiker, gardener, beach lover, dog lover and enjoys a love for all things outdoors. Carolina joined the Tamal Vista Famly Dentisty team in August of 2016. Her sweet demeanor and her well rounded education in all aspects of dentistry brings a great addition to the hygiene team. She is a foreign trained dentist from Bogotá, Colombia, where she practiced dentistry for 4 years before moving to the US. She is a Registered Dental Hygienist and a Registered Dental Assistant. She worked as a Registered Dental Assistant for 11 years before graduating from the SRJC Dental hygiene school. She enjoys working with and getting to know each patient while providing the highest quality dental care and making each visit a pleasant experience. Carolina volunteers in the community and abroad. Outside of the office, Carolina enjoys spending time with her family, cycling, running, traveling, reading, dancing, swimming and scuba diving. Affie was always fascinated by beautiful smiles. Her childhood dentist always reminded her to practice good hygiene in order to have beautiful teeth. He was her inspiration to pursue a career in dentistry where she could deliver the same message to her own patients. 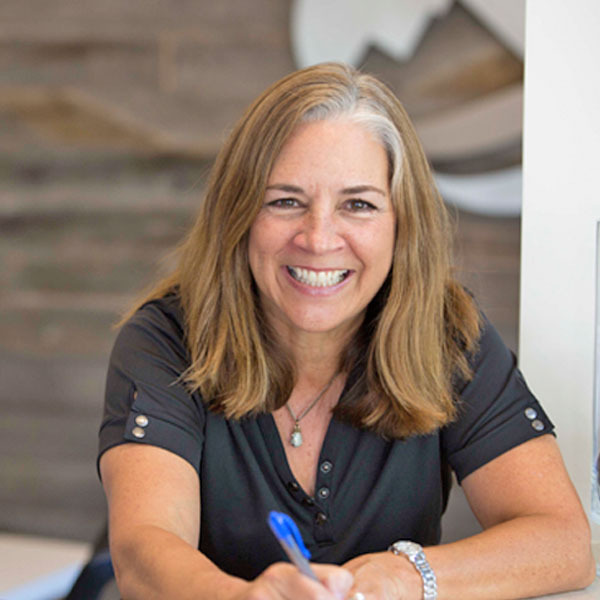 Following the completion of her academic training at UCSF in 1998, Affie began her career as a clinical dental hygienist in Marin County where she has lived for over 30 years. Since receiving her degree, she has had the privilege of implementing her clinical knowledge and experience in various capacities, starting with community dental services for underprivileged people, to joining private dental offices in the Bay Area. 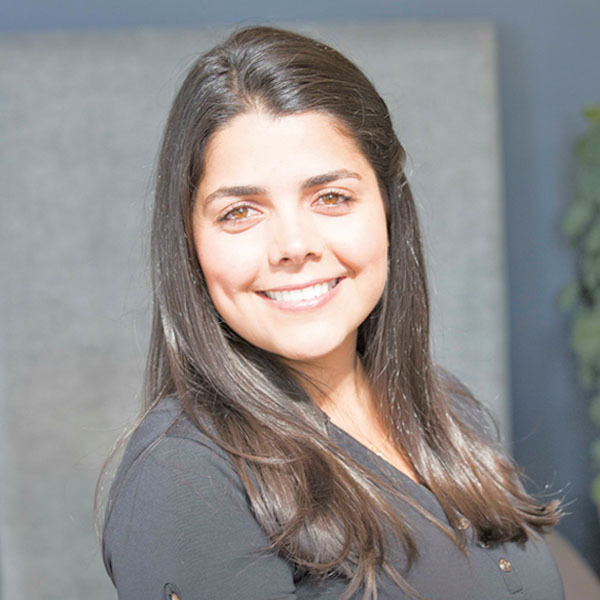 Since 2012, when she joined Dr. McDowell’s dental practice, Affie has proven to be a great team player and share her love of the field, while tending to needs and dental concerns and improving their dental health. Her husband is a microbiologist and founder of a biotech company with focus on developing a new class of antibiotics for the treatment of drug resistant bacterial infections. His research is in translational medicine in collaboration with UC Davis, UCSF, and UC Berkeley. They are the proud parents of two daughters. Their older daughter, Ghoncheh, has a Master’s degree in Physical Chemistry and is employed in a Bay Area company. Roxy, their younger daughter, gained her Master’s degree in International Business and enjoys her family life in New York while working in the Fashion industry. Affie and her husband both enjoy their grandchildren Ariana who is 4.5 years old and Phoenix who is 22 months old. Affie is fluent in Persian, French, and English languages. She enjoys reading scientific articles and non-fiction books, as well as poetry. She has taken particular pleasure in cooking, baking; with a specialty in cream puffs! Affie tends a lovely garden and has a ritual of making flower arrangements freshly cut from her yard. Joan (AKA Jojo), has been a treasured member of the Tamal Vista Family since 2005. She graduated from the College of Marin dental assisting program in 2003 and has been a dedicated Registered Dental Assistant, giving her all to the work and the patients she treats. Joan loves doing her job, educating patient’s regarding their oral health and enjoys learning the life stories of her patients. Joan has a knack for the details, making her an invaluable member of the team. As the Clinical Coordinator, Joan anticipates the needs of the clinical team members, as well as the patients to provide a “beyond expectations” experience for all. Joan’s family and friends are very dear to her. She is married to her childhood friend and enjoys road trips, hiking and taking on life’s adventures! Brianna Conner, RDA, joined our team in Oct 2017 and has been a wonderful addition to our clinical team. Brianna was born and raised in Sonoma County. She attended SRJC, receiving an AA & AS in Natural Sciences & Social and Behavioral Sciences, along with her Dental Assisting Certificate. She has been working in the dental field since then and since 2014 as a Registered Dental Assistant. When Brianna is not in the office, she enjoys spending her time with friends and family. She loves sports, especially attending baseball games (Go Giants!) She loves being outside, going wine tasting and traveling – which she plans on doing more of! With her big heart and happy smile, Brianna’s experience as a dental assistant helps her anticipate the needs of the patients and doctors. We are so pleased to have her as a part of our dental family! Larissa Tonelli, our Chairside Registered Dental Assistant, comes to us as a top graduate from her class at College of Marin RDA program. She is quick to learn, willing to step in whenever needed and confident in her abilities to take on new challenges. Her enthusiasm and excitement for the team makes her a great addition to the Clinical Assisting Team. Larissa is originally from Brazil, and now lives in San Rafael with her husband. She completed High school back home in Brazil and came to the US to attend English classes at the College of Marin. Larissa eventually got into the RDA Program and graduated in June 2016 and has been part of our Clinical team since then. Larissa enjoys spending time with family and friends and going to Church on Sunday. She volunteers whenever possible, at church events or within the community. She also makes a mean carrot cake with chocolate frosting! 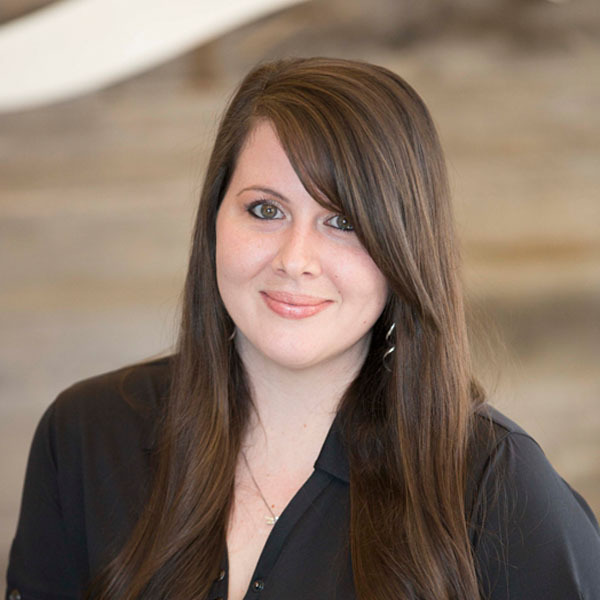 Born and raised in San Diego, Amanda graduated from Concorde Career College with her Dental Assisting Degree in 2009 and received her RDA license in 2010. She began her journey in the dental field as a back office assistant, but in time she learned that her niche was in the administrative aspect of dentistry. Over the years, she has honed her front office skills, including the ins and outs of insurance billing, creating straightforward treatment estimates, and providing comprehensive patient correspondence. Amanda and her husband moved to Northern California in spring 2014, and joined Dr. McDowell’s team soon after their arrival. As the Financial Coordinator, her back office knowledge and experience has guided her to assist and educate patients about their treatment and financials more efficiently. Amanda’s calm demeanor demonstrates the importance of always provide five star patient care, which has been a pleasure to do as part of the fun-loving team at Tamal Vista Family Dentistry. 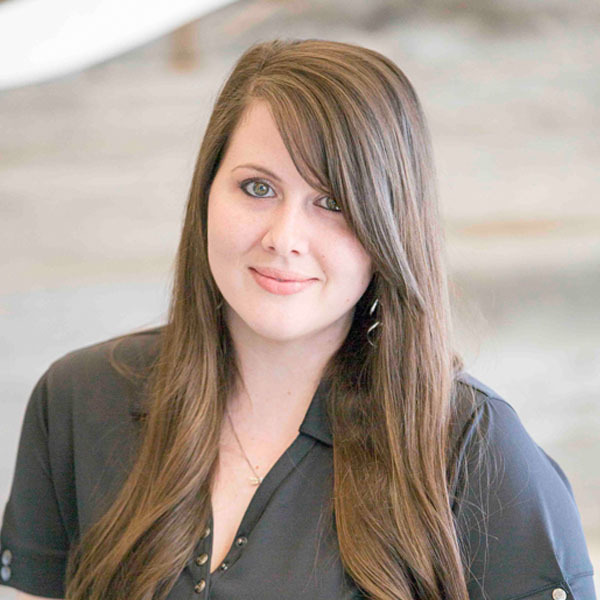 A huge part of Amanda’s personal life consists of staying in touch with family and close friends who still live in San Diego, while advantage of more frequent visits to family who live in Chico. She and her husband enjoy the small town vibe in the North Bay with our two dogs; Marley, an Australian Shepherd/Border Collie mix, and Stewy, a Lab/Mastiff mix. In her free time, she enjoys reading, DIY crafts, traveling, watching sports, and spending time outdoors. A true Marinite, Makama was born and raised in Marin. She graduated from the College of Marin Dental Assisting program in 2008 and started her career as a registered dental assistant soon after. After 4 years of working as a chairside assistant, she joined Dr.McDowell’s practice in 2012 as a front office administrator and schedule coordinator. 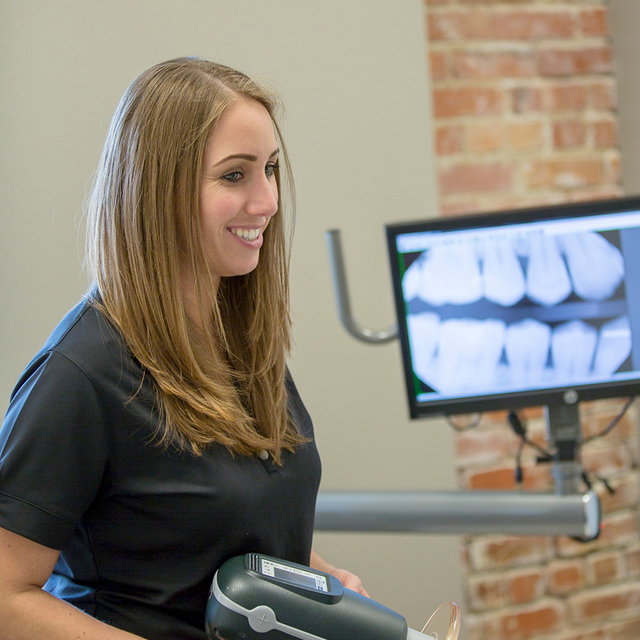 Her years of experience and knowledge of the back office allows her to provide great care and information to our patients about dental procedures and treatment. Makama is often the first person a patient encounters when they call the office or come in for their appointments. Her genuine care for the practice and her warm greetings, provide welcoming and comfort to our patients that helps to ease any apprehension that for some, comes with a visit to the dentist. Outside of the office, Makama enjoys spending time with her husband and son, cooking and taking in the beautiful views that the Bay Area has to offer. Born and raised in Los Angeles County, Jodi moved to Portland Oregon after high school. Her first experience working in dentistry was as a dental assistant, but she quickly realized that dental hygiene was going to be her next goal. She graduated from Mt. Hood Community College’s program in Dental Hygiene and worked for thirty years as a clinical dental hygienist in Oregon, Washington and California. Clinical work began to take its toll on her hands, and she unfortunately had to give up clinical practice in 2013. She continued her education by completing an on-line Bachelor of Science degree program in Dental Hygiene and graduated in 2016 from Oregon Institute of Technology. She now works as the Recare and New Patient Coordinator at Tamal Vista Family Dental, where she enjoys using her experience and education in a new way. Jodi is married and has two children. Her interests outside of work include hiking the many trails of Marin County, cooking delicious meals, entertaining friends and spending time on the water of Lake Tahoe with her family. After 10 years of practice as a Speech Language Pathologist, Cristy switched gears and has devoted her energy to growing Tamal Vista Family Dentistry into a premier dental facility. With the emphasis of maintaining an “at home feeling” at the office, Cristy strives to make every patient feel special every time they walk in the door. In her role as Practice Administrator, Cristy focuses on all aspects of improving the patient experience, from creating a serene environment, to building a family of team members who truly care for each other and the patients they treat each day. Wife to Dr. McDowell and mother to their 2 sons, Cristy dedicates her time outside the office to creating a strong family, who appreciates nature and the importance of giving back. Cristy is an avid reader and can often be found playing tennis on a local team, mountain biking, paddleboarding, hiking or doing nearly anything that gets her outside to gaze at beautiful Mt. Tam. She’ll never pass up the opportunity to travel or explore new spots, and loves learning about new and different cultures.